Marks & Spencer is found in a convenient place in Ventura Retail Park on Ventura Park Road, approximately 0.67 miles south-west from the centre of Tamworth (near Cardinal Point Retail Park and Jolly Sailor Retail Park). This store is situated in a convenient location for patrons from Glascote, Kingsbury, Bonehill, Lichfield, Tamworth, Fazeley, Wilnecote and Kettlebrook. Today (Thursday), its opening times are 8:00 am to 9:00 pm. 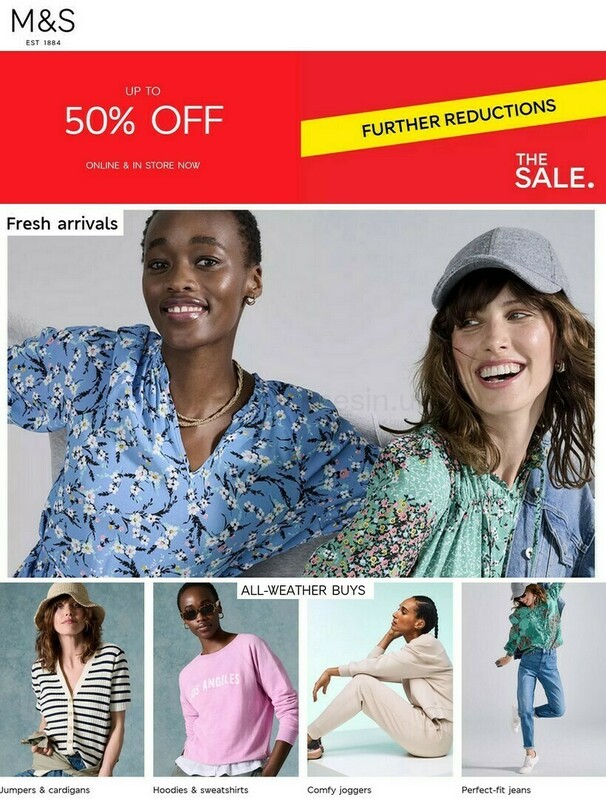 Refer to this page for information about Marks & Spencer Tamworth, Ventura Retail Park, including the operating hours, address info, direct number and more. Marks & Spencer is situated in a convenient place immediately near the crossroads of Ventura Park Road and Bitterscotte Drive, in Tamworth, Staffordshire, at Ventura Retail Park. Located within a 1 minute drive time from Jolly Sailor Roundabout (Riverdrive, Tamedrive, Bonehill Road, Bitterscote Drive); and a 5 minute drive time from Fazeley Road, Fazeley - Two Gates - Wilnecote Bypass and Lichfield Road. For this store the Satellite Navigation postcode is B78 3JD. Customers should alight at Ventura Park Road/Asda Store or Fazeley Road/Ventura Park Road. Use the services: 16, 65, 115, 216, 224, 766, 767, R1, R3, R4, R5, X16 and Sapphire 110. Regular train services run to and from Tamworth Station (1.33 mi away). Lines that stop here are the CrossCountry, Virgin Trains and London Midland. Nearby you can come across Borrowpit Lake, Ankerside Shopping Centre, Jolly Sailor Retail Park, Tamworth Castle, Sir Robert Peel Hospital, Tameside Nature Reserve, Marston Park, Drayton Manor Theme Park and Cardinal Point Retail Park. Including this store, Marks & Spencer now has 1 location in Tamworth, Staffordshire. The list of all Marks & Spencer branches near Tamworth can be found here. Please be advised that standard store hours for Marks & Spencer in Tamworth, Ventura Retail Park may not be valid during UK national holidays. In the year 2019 it pertains to Christmas, New Year's, Good Friday or Black Friday. The best way to get added details about seasonal opening hours for Marks & Spencer Tamworth, Ventura Retail Park is to go to the official website, or phone the customer number at 0333 014 8555. Be sure to explore the other exceptional stores in Ventura Retail Park. In this place you'll also find ASDA, Next, McDonald's, Wilko, WHSmith, Matalan, Decathlon, Smyths Toys, KFC, Currys, Carphone Warehouse and a few others. Our team is working to supply you with the latest information as possible. If you find errors in the place of business address or operating times for Marks & Spencer in Tamworth, Ventura Retail Park, please use this form to report a problem. In the form provided below, please post your critique of Marks & Spencer, and rate its location using the star ranking system. Your thoughts might help other patrons.